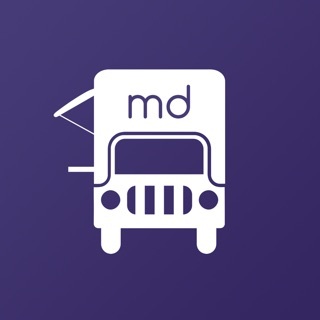 Are You a Food Truck Owner? Get more business now with the foosye® shout-out app. 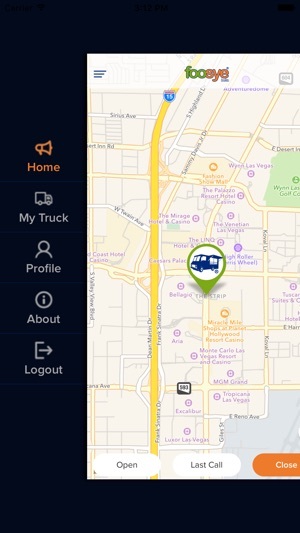 With just three simple buttons, the foosye® shout-out app allows all food trucks and mobile vendors to announce your service status and exact geo-location in real time across social media to bring more consumers to you! On the patent-pending backbone of the foosye® platform, you can use any device to send precise geo-location messages. 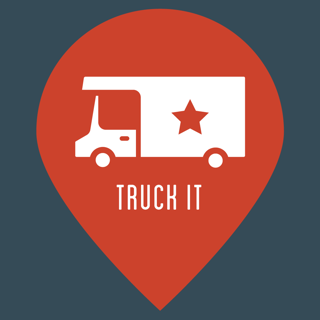 No more “Drive, Park and Pray™” for your food truck, no way! 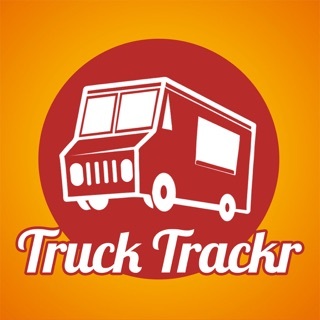 All hungry consumers can track their favorite food trucks, find new food trucks and receive alerts that you are near them serving…RIGHT NOW! 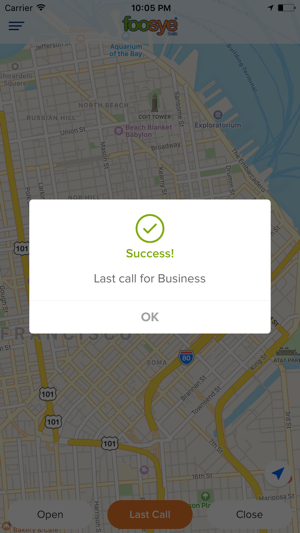 No more bad addresses, missed times ranges and incorrect calendars. 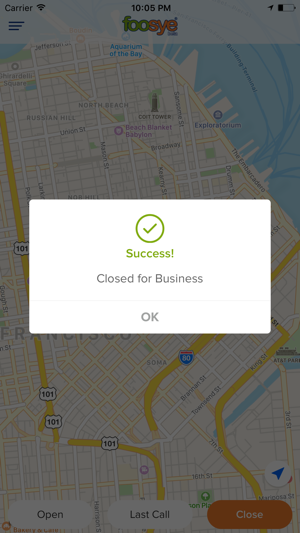 Now with the foosye® app you send real-time, geo-location status of your business! This is the first in the line of foosye® apps, products and services designed for one goal in mind…your success. 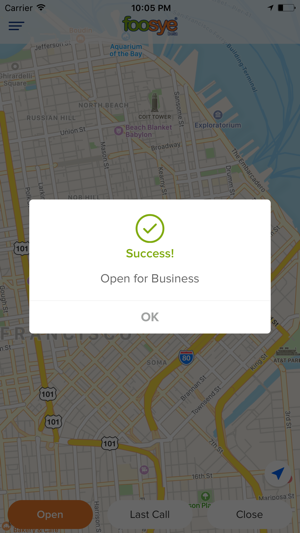 This real-time app allows all consumers across a vast network to see that you are open and get walking, biking and driving turn-by-turn directions live on their device or computer (people still drive with a laptop right?). *Note, this is a iPhone app only with the tablet versions for iPads and other devices being released soon (the app will work on a tablet but only in portrait mode for now). 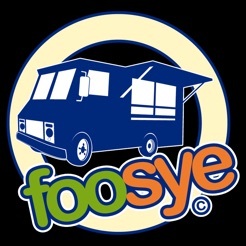 Running your food truck business just got one step easier with foosye®, My food truck shout-out app. Don’t just sit there, send us your feedback and suggestion or a quick HELLO to info@foosye.com. We’re regularly releasing performance improvements and bug fixes. Get the latest version for the best user experience and more customers to your business! Foodtruckers don't have much time for social media...but being socially active for our food truck events is important to our success. 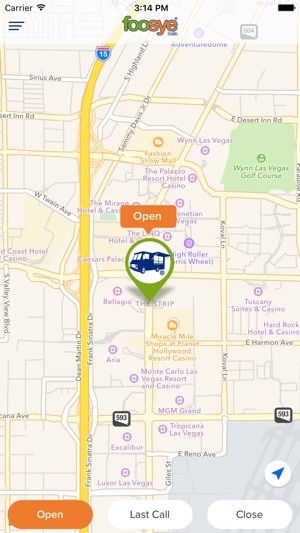 Finally an app that allows us to tell everyone where we are serving at...Now! Things happen and sometimes we miss our event or pick up a last minute gig. This app allows us to tell everyone when we arrive at our event and show where we set and not just an address. Must have for foodtruckers!